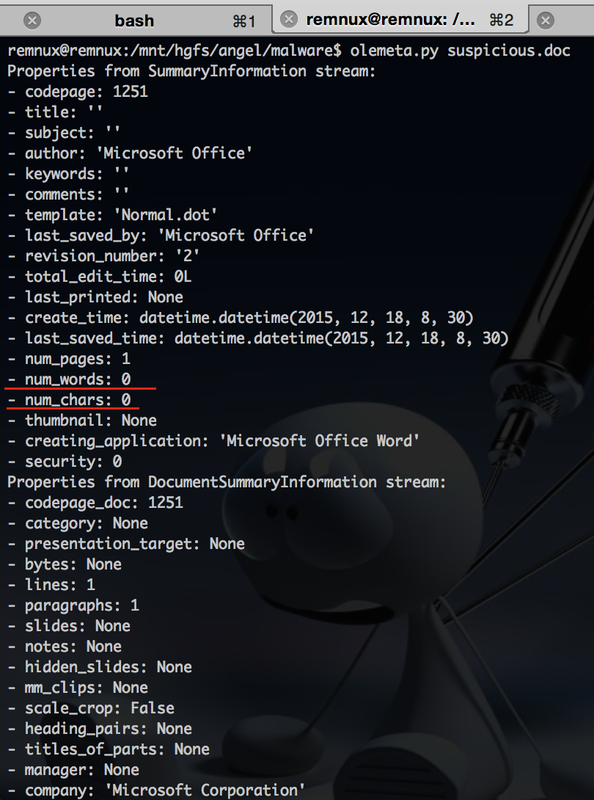 In this first post I am going to describe how it is possible to analyse MS Office files containing Macros. In further post I will describe how to perform malware analysis of the downloaded file, which it is an EXE file. oletools: included in Remnux v6. However, in this case I am going to do the dynamic analysis through the MS Office debugger for VBA. Now it it time to run the Macro. We can do it with F8 in order to debug it step by step. 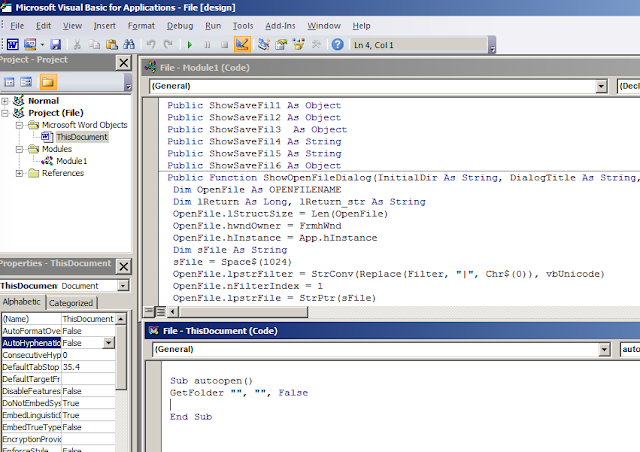 In the mean time, we can see the content of the variables (objects) in the Locals Window. 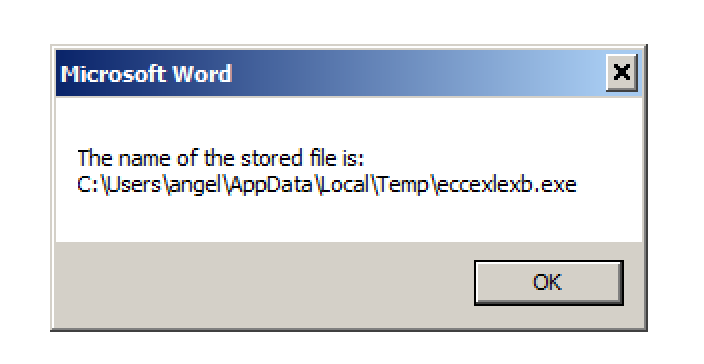 Later on, the file is executed through an 'open' function. Another alternative is to display debugging windows messages while the macro is being executed. For example, with the instruction "MsgBox". While doing the analysis I captured the traffic in order to detect the network traffic generated and to be able to keep the malware file. With this approach and set of tools I have been able to understand what the Macro embebed in an MS office document does. In this case it basically acts as dropper to download a file and execute it.